Dislocation, Solace, Yearning: Lit Mag Looks at Aspects of "Home"
A short story about a baby hippo mysteriously given to a bank teller who kidnaps children and gives them to her coworkers so they raise them, a hermit crab essay about homelessness as told through a 12-Step guide to recovery, and a poem that functions as a letter to one’s different body parts are just three examples of the intriguing concepts presented in the latest issue of Storm Cellar. In her letter to readers, editor Sydney Sheehan explains how the theme of home unintentionally surfaced in this issue. Whether that’s home in the context of family or dislocation, the pieces included in this issue grapple with the different meanings of “home” just as creatively as the stellar writing of each piece. Co-authors Kelly Magee and Carol Guess, for instance, create the narrator of their short story “With Hippo,” through simple yet surprising statements such as “I worked at a bank because I worked at a bank.” By employing this simple yet imaginative writing style, the narrator’s quirky and decisive personality strengthens. This is true for just about every paragraph. And as the reader adjusts to the whacky events of this piece, such as the aforementioned kidnapped children and baby hippo, she begins to recognize what skillful writing the two authors undoubtedly have. “We called it The Box. We called it The Button. We called them The Clients. And babies were Saved. Not saved in the religious sense, although some of my co-workers talked about Jesus. But they weren’t the ones who opened the door to find condoms and gum stuck to the heat lamp. I didn’t think we were angels of mercy. Mistakes with heartbeats are just hard to undo.” See? Succinct. Powerful. These concise yet telling statements expose the narrator more to the reader than if Burt had soaked the essay in a beautiful ocean of lyrical language. It’s that straight-forward this-is-how-I-feel tone that exposes him to the audience, allowing for a connection between text and reader. Along with this, Burt’s concept of home is present in this piece through the transient aspects both of life and self—how, because he is homeless, he sees “home” as an unstable place geographically, and also a disjointed space that exists not just in the setting, but in the landscape of one’s mind and body. 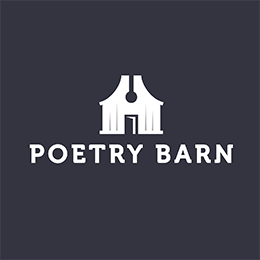 Turning now to the poetry in the latest issue of Storm Cellar, in “Arkansas Poem,” Andrew Cox, writes about place and, through this, he also brings forth the hope that home can be a stable thing. Which is to say that leaving is a part of our homes, as it gives the space for a reunion and the realization of how home is a solace for which we strive. Home is a memory we yearn to return to. A few weeks later an image would come to haunt the walls: a thin shadow between arm and torso, a coldness in goose bumps across the skin…Everything I loved about myself would have been hidden for safekeeping…that year before my mom left to go back home. Home, here, is a place of anxious instability and unwelcomed transition. Also, Jennifer Leeney Adrian speaks of home in a way in which we wish to always think of it as that source of solace. With her nine-year-old daughter in the hospital, the narrator states, “I am home for the afternoon, home to wash away the sweat that coats my skin during every hospital stay, even as I shiver at night under issued blankets.” Home in this story is the place we return to in order to remember what safety and tranquility can feel like. Finally, the most profound and creative sense of home I found in the issue is Kari Gunter-Seymour’s series of photographs, “Barbie Falls on Hard Times.” In this portfolio, the photographer sets up Barbie dolls in certain poses of implied hardship in order to show the ways in which our lives may fail—those deep, dark moments we wish were not a part of us, not a part of our bodies and minds that house those terrible times. In one photo, a stiletto heel is in the foreground, with Barbie lying face down behind it as if she tripped and fell. And in another, the focus is on Barbie’s hand holding a tiara, but in the background we can see her head is resting on top of a toilet, an empty wine glass on the floor. What Gunter-Seymour is doing here is showing that even when one is thought of as having a perfect life, those deep and dark parts arise, destabilizing the lives we thought we had, showing how our lives that are full with a sense of security can shift us into a space in which we do not know ourselves, do not feel at home in ourselves. As is apparent in this issue, dislocation and challenging types of human connection are just as much a part of our homes as safety and solace are. Our understanding of home cannot be complete until we know what our homes are not.